Is it windy in Antigua? Well, most of the time yes, thanks to the Trade Winds! Known to sailors around the world, the trade winds and associated ocean currents helped early sailing ships from European and African ports make their journeys to the Americas. 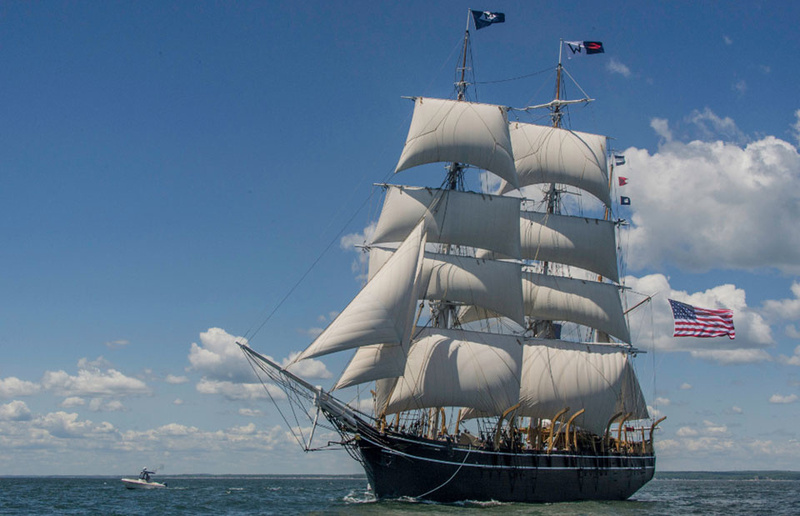 Likewise, the trade winds also drive sailing vessels from the Americas toward Asia. Even now, commercial ships use “the trades” and the currents the winds produce to hasten their oceanic voyages. How do these commerce-friendly winds form? Between about 30 degrees north and 30 degrees south of the equator, in a region called the horse latitudes, the Earth’s rotation causes air to slant toward the equator in a southwesterly direction in the northern hemisphere and in a northwesterly direction in the southern hemisphere. This is called the Coriolis Effect. As the wind blows to about five degrees north and south of the equator, both air and ocean currents come to a halt in a band of hot, dry air. This 10-degree belt around Earth’s midsection is called the Inter-Tropical Convergence Zone, more commonly known as the doldrums. Intense solar heat in the doldrums warms and moistens the trade winds, thrusting air upwards into the atmosphere like a hot air balloon. As the air rises, it cools, causing persistent bands of showers and storms in the tropics and rainforests. 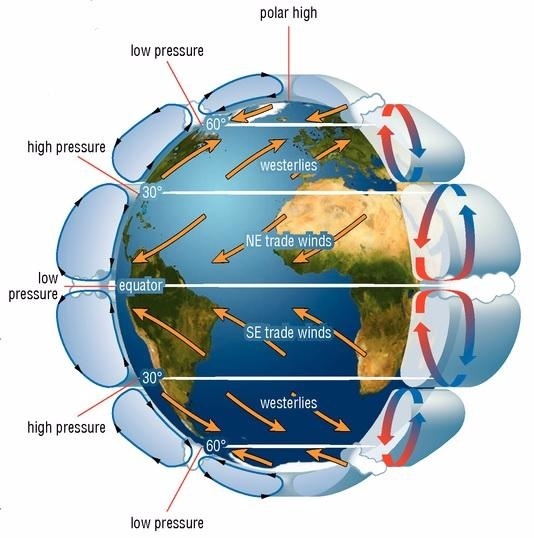 The rising air masses move toward the poles, then sink back toward Earth’s surface near the horse latitudes. The sinking air triggers the calm trade winds and little precipitation, completing the cycle.